We waited, but nothing had been confirmed yet. 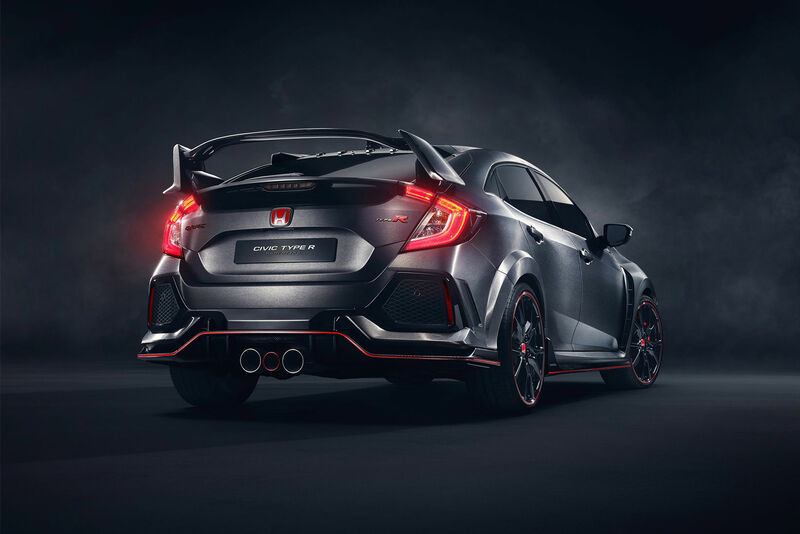 Finally, the rumors proved to be true as the Honda Civic Type R was unveiled in concept form on the first day of the Paris Motor Show. Just one look at Honda’s new top-of-the-line model confirms that we will be getting both a unique vehicle, and one that will be quite sporty. 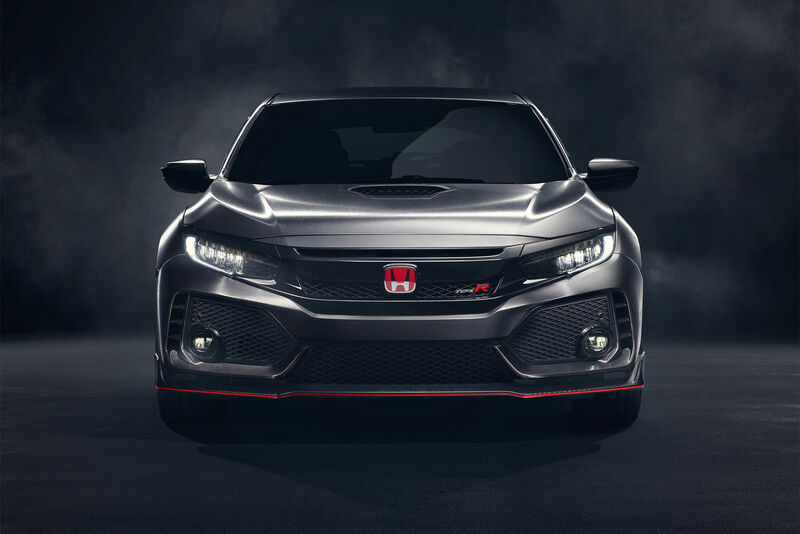 The Honda Civic Type R has always stood out with its aggressive and distinctive style, and the new Type R unveiled in Paris is no exception to the rule. 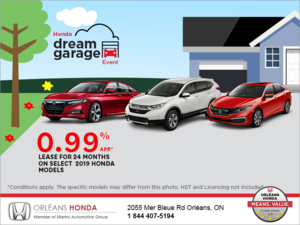 The car is impressive with its huge spoiler, its 20-inch wheels, and its red accents everywhere from the bumper to the Honda logos. Then there are the unique center-mounted triple exhaust tips in the rear bumper. If you do not want to get noticed when driving your car, you better forget the Honda Civic Type R.
It is not yet known what will end up under the domed hood of the Civic Type R unveiled yesterday in Paris. However, rumors say it could be a more powerful version of the four-cylinder 2.0-liter turbo engine that powers the current model. While the latter offers 310 horsepower, the production version of the concept presented yesterday in Paris could develop 350 horsepower. A six-speed manual transmission will send power to the front wheels. It was in June 2015 that Honda confirmed the arrival of the Honda Civic Type R on Canadian soil. We all expected to see the model currently sold in Europe make its debut, but with the presentation of the Type R concept in Paris yesterday, there is reason to wonder which model we will see here. 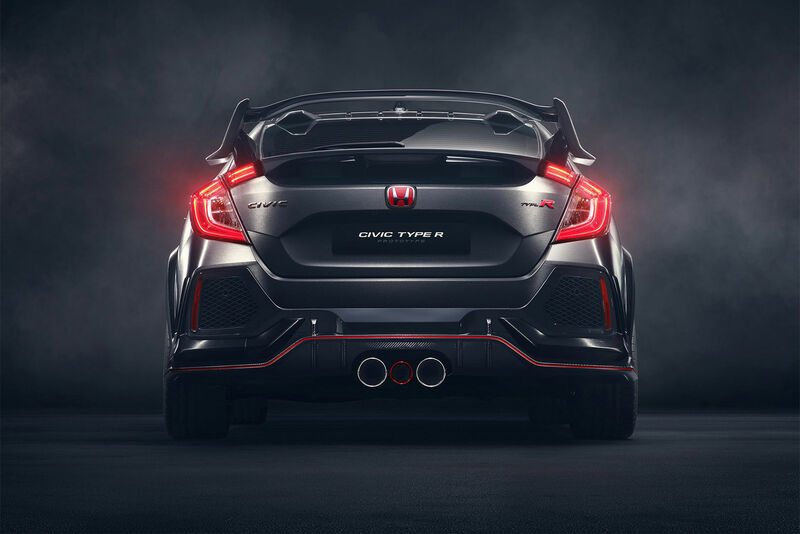 The new Honda Civic Type R will be launched in Europe in 2017. That said, there is reason to believe that no matter what type R we see in Canada, enthusiasts will love it. 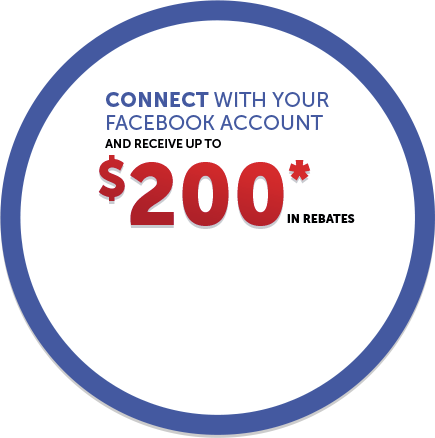 For more information on the Honda Civic Type R or the rest of the Honda Civic range, contact us today at Orleans Honda!